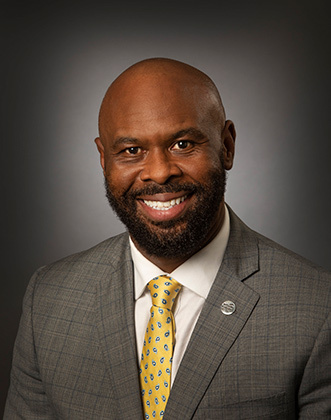 Corey L. McCray has been named vice president for Workforce Solutions at Tidewater Community College effective July 15, President Edna V. Baehre-Kolovani announced. Selected after a national search, McCray has directed The Pruden Center for Industry and Technology in Suffolk since July 2006. In that role, he was accountable to sponsoring local school divisions, superintendents and school boards for oversight of secondary career and technical education and regional adult education programs. The Pruden Center maintained one of the state’s first Governor’s Career and Technical Education academies to provide secondary science, technology, engineering and math instruction to career and technical education students. McCray is president of the Virginia Association of Career and Technical Education Administration, serves on the advisory council of TCC’s automotive program and is outreach committee chairman of the advisory council at St. Leo University. He also serves on the board of the Virginia Association of Secondary School Principals, Virginia Association of Career Technical Educators, the Association for Supervision and Curriculum Development and Opportunity Inc.’s youth council board. In addition, he oversaw dual enrollment courses with Virginia’s Community Colleges. He formerly served as assistant director and business/industry liaison at The Pruden Center and has taught at TCC and Paul D. Camp Community College. A U.S. Navy veteran and resident of Chesapeake, McCray holds a master’s in education leadership and supervision from Cambridge College and a bachelor’s in workforce education and training from Southern Illinois University. He completed graduate studies at William & Mary and is a doctoral candidate in education leadership at Old Dominion University.